If you haven’t heard the name Vanessa Robinson yet, you haven’t quite experienced what West Texas talent has to offer! 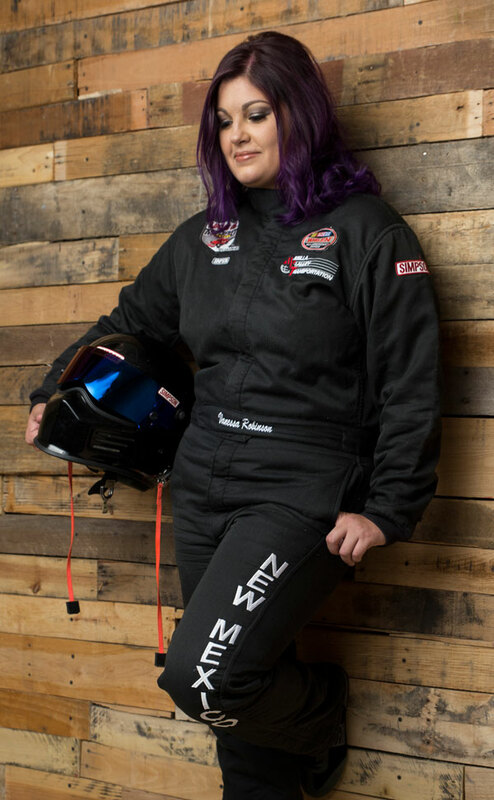 A native of Las Cruces, New Mexico, Robinson is the kind of free spirit that has loved the roads she’s been racing on ever since she was a kid. Now, Robinson is taking those same roads gear by gear and turning wheels into major wins for her career. 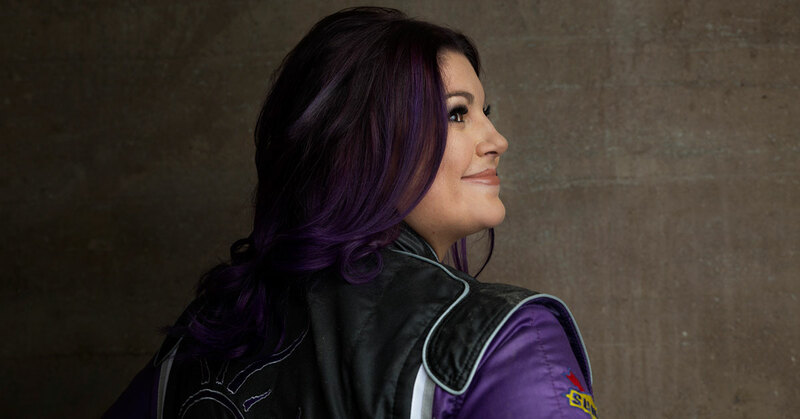 The twenty eight year young rookie driver is debuting her veteran skills in NASCAR’s K&N Pro Series West this season. Her competitive nature, unwavering determination and absolute belief in her own talent is making a name for Robinson (and women) in NASCAR’s racing world. At the age of thirteen, Vanessa Robinson made her racing debut on a dirt track in Las Cruces, Mexico. Racing admist a sizeable number of veteran drivers, Vanessa pulled out a win, sitting behind the wheel of an old Street Stock. With the tires in the dirt and a smile on her face, she knew she was in love; in love with Southern New Mexico Speedway and in love with racing. For those who know her father, Martin Robinson, machinist and race engine builder of thirty five plus years, they may know that Vanessa has followed him around since she could walk. Her life has been spent in the shop where he built the engines and at the tracks where they raced them. And her mother? Luz Robinson may have won a race or two; specifically, the Street Stock Championship title at Southern New Mexico Speedway. Now, Mrs. Robinson has helped foster and build Vanessa’s dreams into a racetrack reality. Many have wondered whether the Robinsons have blood running through their veins or racing fuel, and we think the answer is pretty clear: it’s racing fuel!